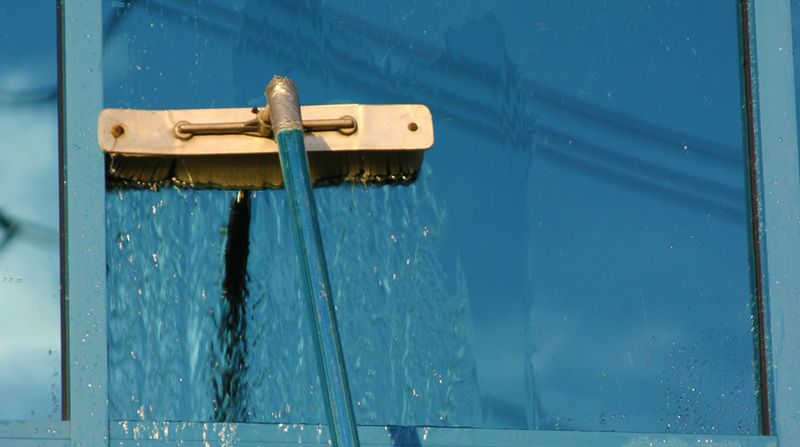 Here at the Commercial Cleaning Company, we specialise in all aspects of window, UPVC and facade cleaning. We clean all windows, internally and externally, from hand height level up to heights of 60 feet. For high access windows, we use what is called a reach and wash system, which is the very latest in water purification and pole cleaning systems. The system uses 100% pure laboratory graded water which is pumped through carbon fibre telescopic poles. This allows us to access and clean windows to heights in excess of 60 feet (4 - 5 floors). We have a number of contracting options to suit any client. Please don't hesitate to contact us to discuss your options. Our pricing is transparent and shows clearly the cost breakdown. We contract clean to Offices, Pubs, Clubs, Cinemas, Shops, Restaurants, Schools and much more.